Mekong Rest Stop is the famous station located in Highway 1A to Mekong Area. For years, this is the place is considered the first stop before the time guests come to provinces in Mekong Delta. All buses and all guests who have time for stop here to relax, enjoy some specialties as a great beginning to the wonderful trip in this area. Mekong Rest Stop is the large complex included restaurants, exhibition area, and bread store and souvenir shop. So there are different services that you can experience if you have time in here. Related to restaurants, there are at least 3 areas where the tables can be set up to suit with different requires about the space or scale of guests. The center area is large for big groups with the opened space. There is the private room that suite with events and small groups that request the private place. For anyone who loves the traditional atmosphere, there is the traditional house for tables. 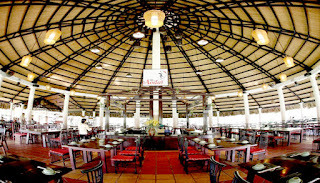 Mekong Rest Stop is high valued about the services with the staffs are courteous. This is one of the impressive points to guests who have time to stop here. Mekong Rest Stop focuses on traditional cuisine. You can find here the best flavor of local dishes and Vietnamese dishes with delicious taste. The popular dishes here are grilled chicken, grilled shrimps, hot spot with sour flavor or mushrooms or local macerated fish sauce, local noodle, fried rice and other tasty dishes. It is easy for you to choose the favor dishes. You can ask the restaurant about the dishes that suitably combined in a menu. There are the dishes recommended to help you to make the balance in your menu. Especially, there is the bread store which is recommended to you too. You can use the variety of wonderful bread here in your menu. The bread store is introduced to you because it is considered that the breads here are so fresh and tasty. 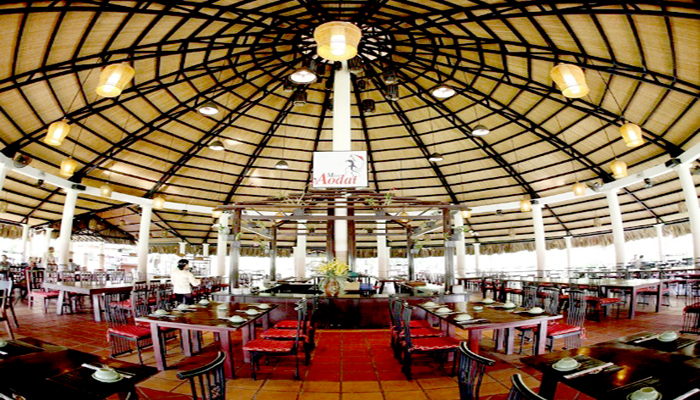 The price in Mekong Rest Stop is considered in the higher level more than some restaurants in Tien Giang Province. However people said that it is worth with the services and food that they experience. Many guests always have their time to stop here on the route that they pass by.